Security experts are especially skeptical of this move, saying that the possibilities for identity theft abound. The recently deceased, or long-term hospitalized people could be prime targets, they argue. Elderly people whose kids set up their account and helped them buy a few things on Amazon two years ago are also possible targets. But the Email Marketing community has its own set of potential problem areas that must be dealt with if Yahoo goes through with this program. According to a Yahoo spokesperson once an old email address is requested, Yahoo will send bounce back emails alerting senders that the deactivated accounts no longer exist, and they will also unsubscribe these accounts from commercial emails such as newsletters, email alerts, etc. But Yahoo’s plan is to allow only thirty days for this process. This quick turnover only adds to the possible problems email marketers are liable to encounter. Suppose you have a customer who purchased something from your company a year-and-a-half ago. You’ve been sending email offers, but as the person hasn’t been that engaged, you’ve tapered off on the mailings. You send something at the end of June, and then something again at the beginning of September. In between, that address has gone to someone else. How will that new recipient react? As far as they’re concerned, your email unsolicited, which makes it a good candidate for the Spam folder. This is, admittedly, worst case scenario, but a man named Murphy already proved that if something can go wrong, it will. For an individual, sending to a bad address is no big deal. They will receive some kind of bounce message, but other mail they send will go through. That is not the same for mass marketers who send thousands of emails per day. When a marketer sends a large volume of email, the ISPs keep track of how many bad addresses are attempted and use that as a factor in determining the Reputation Score of the sender. This is explained in greater detail in our guides, but, suffice it to say, you can’t send to bad addresses regularly and maintain good inbox penetration. Good email marketing software looks at failure messages and immediately removes bad addresses from any future distributions to keep the failure rate as low as possible. If you have removed inactive recipients from your list, you may have already removed some of the accounts that will be reactivated by Yahoo. 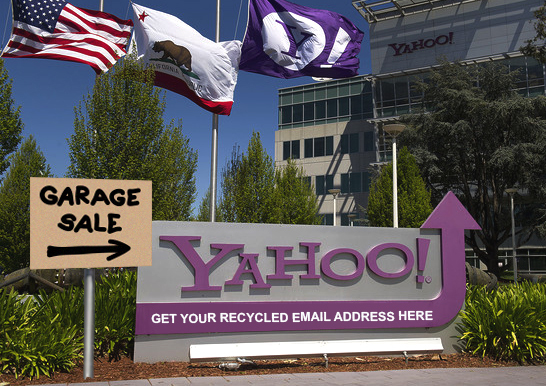 One idea might be to reactivate all Yahoo users who were previously marked as bad addresses, in case some of them are now valid addresses. However, this would be a bad idea for many reasons. One is that some of those bad addresses have been turned into “spam traps.” This is an anti-spam technique used by all ISPs that takes old, inactive or closed accounts and reactivates them. Before the account is closed, the ISPs return an error message that the user is inactive to anyone trying to send to that address. After a period of time, the ISP will stop returning these message and turn the account into a spam trap. The idea is that good marketers send email to their recipients on a regular basis, so they will know that the account is no longer valid. Those that don’t follow best practices, or buy a list from questionable sources, may get email addresses that have not been sent to in many months. When an ISP receives an attempt to send to an address they have turned into a spam trap it results in an immediate and significant drop in the Reputation Score. Even if there are no spam traps on your list, if most of those bad addresses remain bad, reactivating them will cause a large spike of unknown user rejections from Yahoo, which will also hurt your Reputation Score. The problem isn’t simply limited to old addresses either. If you have a user who gets marked as invalid within the short window Yahoo provides, and, coincidentally, the new owner of that account wants to join your distribution, the new user may or may not get added, depending on how the request comes in. Many marketers re-import their list on a regular basis to add new recipients or change their demographics, so good email marketing software has to look at the import and see if the recipient is already in an unsubscribed or on-hold status. It would be a mistake to re-enable all recipients who are re-imported, as you would be causing another Unknown User request against the mail server, or re-activating a user who had unsubscribed. Therefore, if the new user’s request to be added comes into your website and is added to a bulk import, the request may be ignored. If the request to add the email address is sent to the email marketing software in a non-batch mode, such as via an API call, it will depend on the implementation of the software as to whether the request is processed or not. Check with your ESP on how this would be handled. Sending to a person who inherits an email address is probably a bad thing, and if that person marks your email as spam, it will be more difficult for you to get future mail delivered to Yahoo. Therefore, if you do not already have a program in place to remove inactive users, start one, or make sure that you send an email to all your users at least once a month. Above all, you’ll need to be especially vigilant when it comes to any clients using a Yahoo address. This entry was posted in Deliverability, Email marketing, Trends and tagged recycling, spam traps, unsubscribes, unwanted email, Yahoo on June 26, 2013 by Jim Morton. Primary—This is where all personal correspondence or any email that Gmail can’t categorize ends up. It is the first tab and automatically appears whenever the Inbox is opened. Social—As the name suggests, any email from sites such Facebook, Twitter, and LinkedIn will end up here, as well as email from dating sites. Promotions—Most marketing email will end up here, including special offers and company newsletters. Updates—Transactional email, such as order receipts, program updates, and monthly charges should end up in this tab. Forums—Similar to Social, forums, mailing lists, and any special groups to which you belong will appear here. Whenever new email is added to one of these tabs, the tab displays the number of new emails along with the first few “From” names that appear on these mailings. These tabs are also available on the Android and iPhone Gmail apps. For now, the tabs feature is an opt-in setting, but Google has said that in the future it will become a standard feature of Gmail. For the power email user, these changes do not matter much. These people have already applied filters to their email to categorize things more easily. As a member of some particularly hyperactive discussion groups, I learned long ago about the advantages of assigning certain topics or “From” addresses to their own folders. But for the person who normally doesn’t bother with any email sorting beyond dragging receipt emails to a separate folder, Gmail’s new tabs could be a game changer. How much of a game changer remains to be seen. How does Google decide under which tab to put a new email? Google won’t say anything about their logic, probably to avoid people trying to game the system. This is similar to their SEO logic, where they will say very little about the algorithms. So here is our take on how they are doing this. The Social tab is probably hard-wired to the main social sites —Facebook, Linked-in, Twitter, etc. This should work pretty well and is fairly foolproof. It does mean that promotions from these companies come in as Social, as we’ve already experienced. For all other email, we suspect they are scanning the content, looking for keywords, and the things that they examine for deliverability already, such as the number and location of links and the text-to-image ratio. Anything that has commercial sounding keywords, or many images, will likely go to the Promotions tab. If this is true, then ironically, sophisticated marketing email design suddenly become less valuable. A transactional email that includes several images, complex tables, and additional offers, has a strong chance of ending up in the Promotional folder instead of the Updates folder where it belongs. A simpler transactional email containing few if any images or links, and is primarily text has a better shot at the Updates folder in this case. For some marketers, Gmail’s new interface seems like a direct assault on their businesses, arguing that segregating promotional email into its own tab is tantamount to creating a new Spam folder. Although the actual effect remains to be seen, some people in the industry predict that we will see a drop in response rates. So is this the end of the world? First and foremost, it is important to remember that most promotional mailings are going to end up under the Promotions tab at first. The problems you’ll face as a marketer with this new system really aren’t that different than they were before. People can usually recognize promotional email almost immediately, and its success inevitably boils down to the usual factors—intriguing subject lines, compelling content, and how easy you make it to respond to offers. Whenever email lands under the Promotions tab, the client is alerted to new email in the tab bar immediately, but how people respond to these notifications is still unknown. Some concerns about the potential effect of tabs on customer responsiveness are valid. Extremely time sensitive emails (“25% off afternoon special”) might get overlooked until it is too late. But it is equally possible that when clients discover they have missed short-lived specials, they will be more diligent in the future when it comes to viewing their promotional emails, which could benefit everybody in the long run. If you are sending transactional emails you are going to want to pay close attention to where your mailings end up. You may find that your transactional emails are being treated as promotional based on the keyword-scanning methods Google appears to be using. 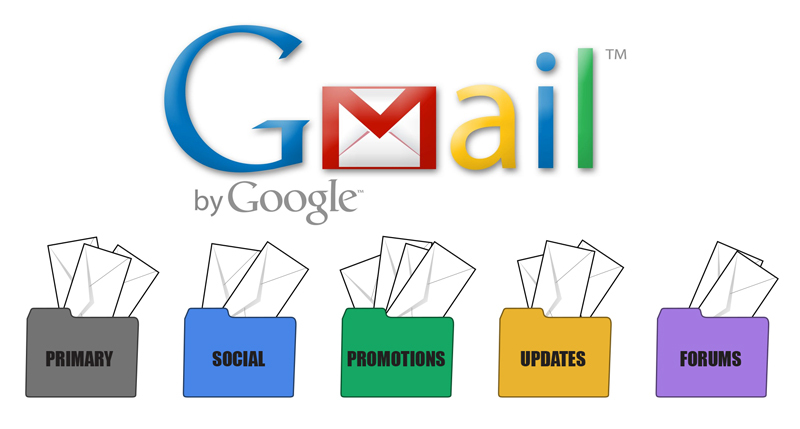 Google’s stated goal with these recent changes is to make Gmail more relevant to the users. That was the idea behind the addition of the priority feature in email, but it appears that not too many people bothered with that feature, so they are trying a different tack. In the end, the success or failure of tabs will hinge on the public reaction. It is interesting to note that one of the features Google touted for Gmail when they introduced the service was the idea that you did not need to categorize your email, but could, instead, use search to find specific emails. Apparently, they no longer feel this is the case. Google has never been particularly responsive to marketers; just ask anyone who has dealt with SEO issues over the past few years. It is doubtful that any complaining by marketers will yield results. It is also apparent that the interface is not 100% accurate. I’ve received promotional mail in three different folders without any rhyme or reason. It appears as if Google is resorting to keyword connections to determine the placement of some email. If your mailing is in reference to a specific event, such as a webinar, or contains information that resemble a receipt, there’s a chance it will end up under the Updates tab instead of Promotions. We are also seeing a lot of crossover between Social, Updates, and Forums, depending on the information in the “From” address. One thing is certain, this will not be the last time that Google fiddles with email, nor is it a marketer’s worst nightmare. Good marketing will prevail because, in spite of any grousing on the part of the general public, people like good marketing. It informs them, entertains them and aids them. As long as your mailings do one of these three things, you’ll be fine. This entry was posted in Email marketing, Gmail Insights, Trends and tagged forums, Gmail, priority, promotions, social, sorting, tabs, updates on June 19, 2013 by Jim Morton.